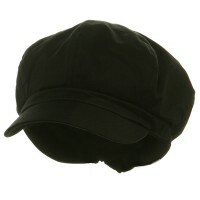 Wouldn’t you believe that a simple Apple Cap can quickly spruce up your casual wardrobe? Yes, Newsboy and Ivy caps are very stylish and are still in vogue even if they were first introduced in the fashion scene a hundred years ago. Apple and 8 quarter hats are classic hats that became popular during the early 19th century. They are made from different types of materials like cotton, herringbone wool, and linen. These hats were worn initially by the working class and this is the reason why they come in different names like cabbie and newsboy hats. Although they come in different names, they are made with comfort and functionality in mind. While there are now thousands of designs of Apple, 8 Quarter Hats available out there in the market, they are designed with both functionality and practicality in mind first before aesthetics. The apple and 8 quarter hats are made with an inner lining so they do not only provide extra warmth and comfort during chilly days but they also absorb sweat during hot days. Apple Hats are very fabulous and they are perfect for any types of wardrobe that you wear. Pair them with jeans, skirt or a coat and you are good to go. These versatile hats are very effective in sprucing up your outfit of the day. 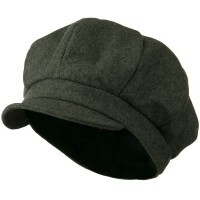 There are many styles and designs that are available for apple caps but if you are not sure about which style fits you, you can always opt for the classic Big Apple Newsboy, Ivy Hats that is available in neutral colors like camel, charcoal, and black. You can pair them with whatever clothes you have in your closet. If you are feeling more adventurous and you want an apple cap that is colorful that you can wear on your golf game, you can opt for the Patchwork Men’s Ivy Caps that features plaid prints. There are other designs for you to choose from in our site. But if it is more character that you are looking for in your apple cap, you can try the Flower Cotton Gatsby Hats that features an elastic band so that it will stay in place as well as the flower accent. This style is popular among many women.